We’re in the middle of the summer, but LeoVegas’ enormous summer promotion is nowhere near its end. 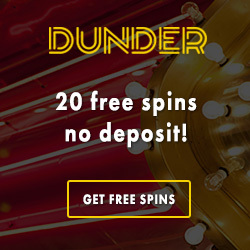 Play free spins and win daily cash prizes, compete on the leaderboards and see if you can bring home the big money in the weekly cash prize draws! LeoVegas’ summer promo started in June, but it lasts all the way till 19th of August, meaning that there is plenty of time to pick up one of the daily or weekly cash prizes. A total of €360.000 in cash has been put on the table, and there are three ways to get your hands on a prize. This promotion doesn’t run from Friday to Sunday, as there’s another awesome casino race running then. A new weekend tournament goes live every Friday, with a total of €25.000 in the prize pool each weekend. Simply play the weekend’s selected tournament game with a stake of €1 or more and get the highest coin win. There will be 30 winners in each tournament, and the grand prize is €5.000 in cash! The last part of the summer promotion is a good ole’ fashioned prize draw, where 28 winners get €500 in cash each - a total of €14.000. Get a ticket into the next Monday draw for every big win you get in Gonzo’s Quest, Starburst, Dazzle Me and Butterfly Staxx. 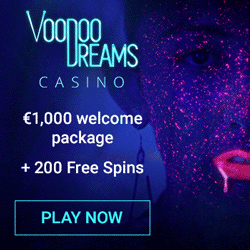 There’s no limit to how many tickets you can collect, so play any of these games as much as possible to boost the chance of pocketing €500 in pure cash. 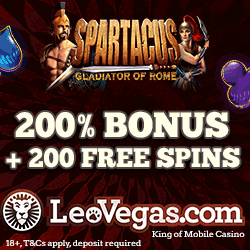 With daily free spins, weekend tournaments and weekly cash draws, there’s tons of action to be had at LeoVegas until the 19th of August. 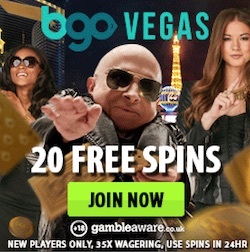 Visit LeoVegas to learn everything there is to know about this action packed summer promotion, and create an account to play at one of the best online casinos in the whole world!